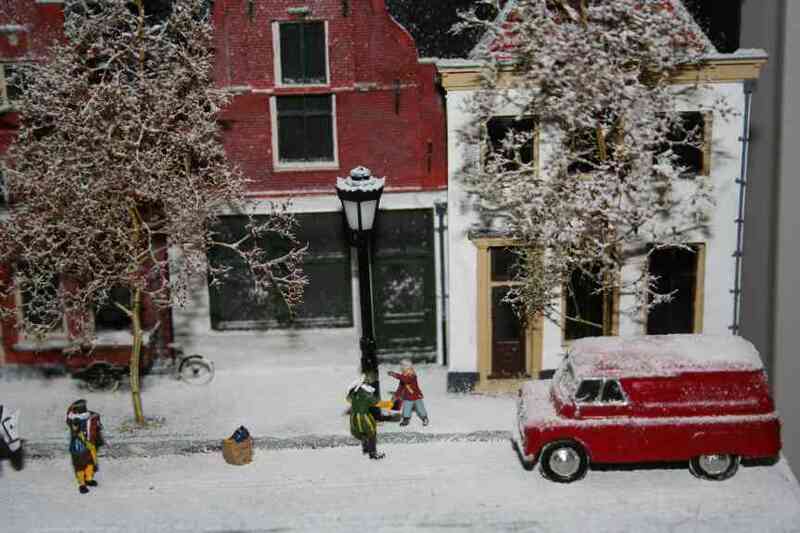 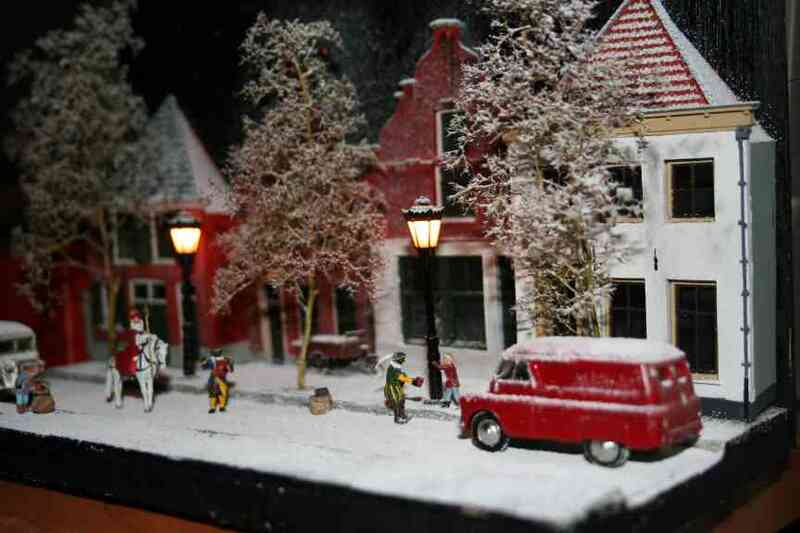 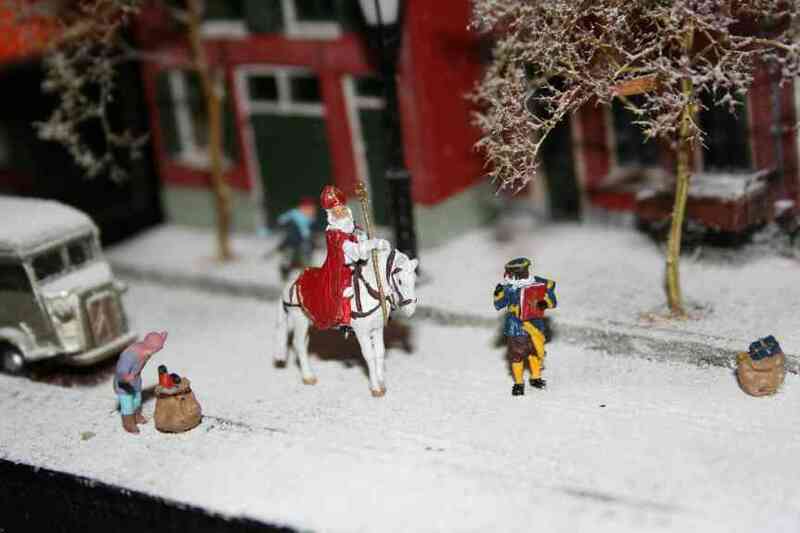 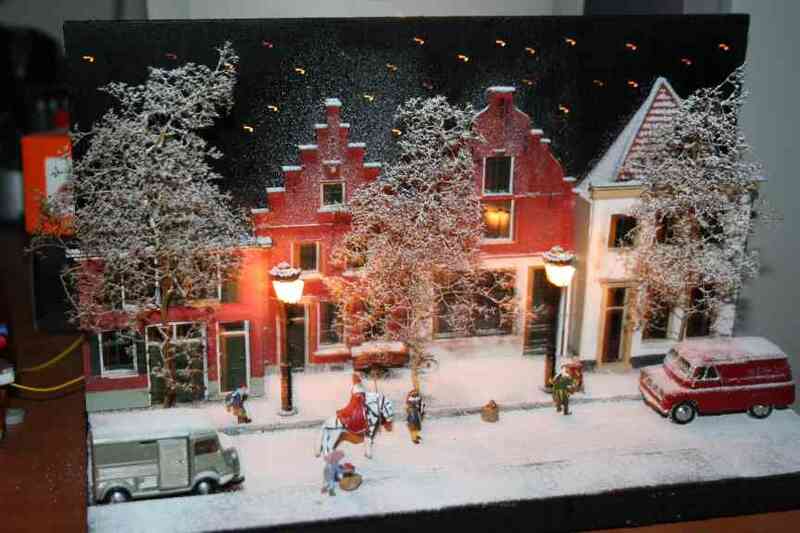 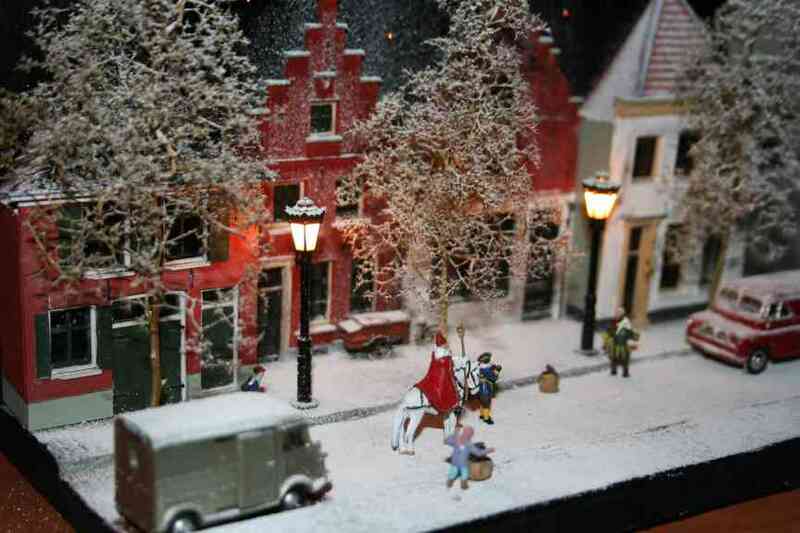 A diorama built by Jacco van der Kroon showing Saint Nicholas visiting a small dutch town. 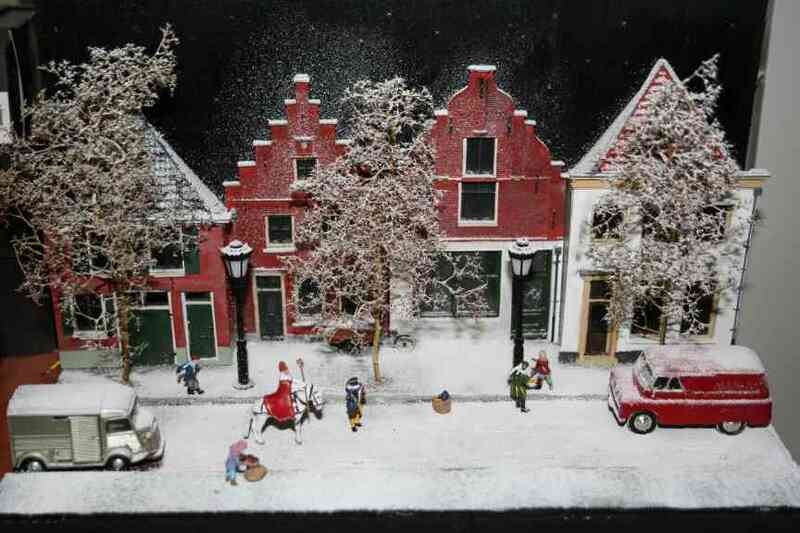 Saint Nicholas and his black Peters, the house gables and the delivery tricycle are all resin models made by Artitec, other figures are made by Preiser. 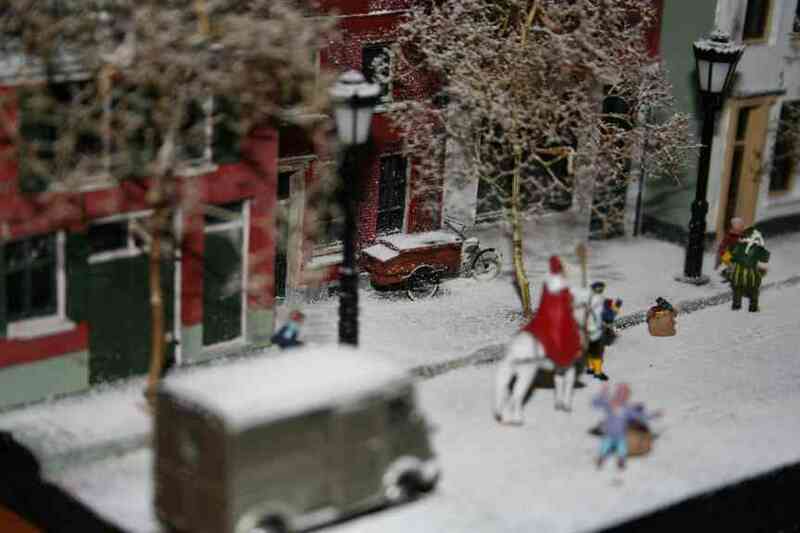 The 'stars' in the background (visible in the pictures below) are made with fiber-optic cable.